Baseball Fan Etiquette… Let’s talk. A day at the ballpark is like heaven on earth. 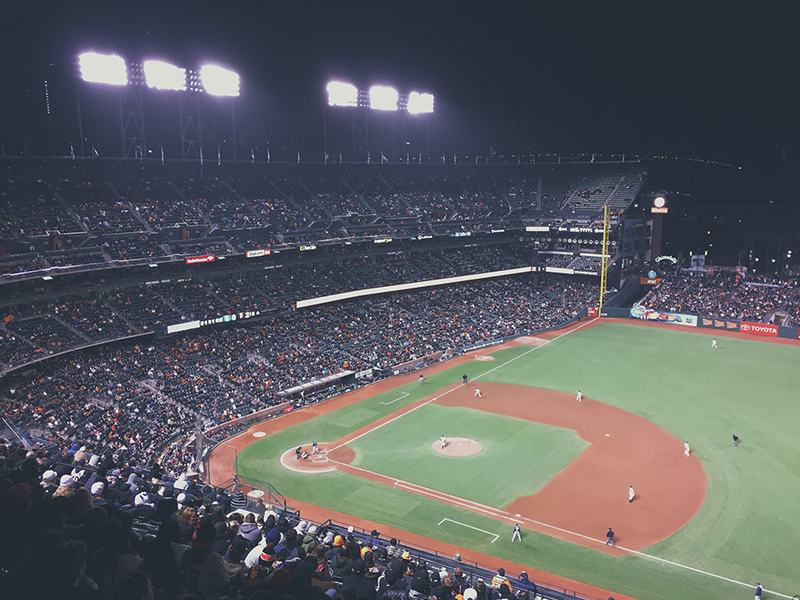 From the beautiful weather to the open stadium, hotdogs, cold beverages, and a spirited crowd; even if baseball isn’t your sport of choice, it’s an experience everyone can enjoy. When sports enthusiasts come together a certain level of excitement ensues, and we all know just how passionate baseball fans can be. But, sometimes that passion overtakes protocol. Take Dylan McCue-Masone for instance, the 18-year-old Yankee fan who made headlines for running onto the field in the fifth inning of the 2013 Midsummer Classic at Citi Field. While his enthusiasm was expected, running onto the field is something you should never do. Therefore, we’ve put together some fan rules so that you’ll never have to worry about being referred to as “that guy”…or “that girl” at a baseball game. Be respectful during the National Anthem, and take off those baseball caps. Ladies, this goes for you, too. Unless it is an emergency, stay in your seat until an at bat is over. Be on time and don’t leave early. If you’re late, wait until in between innings to find your seat. Baseball games are long, but real fans never leave early. You never know what might happen. Be courteous to your row mates. Whether it’s to get food, drinks, or a bathroom run, stand up and allow other fans to return to their seats. Be mindful of your surroundings. There’s a good chance that children are present, so ease up on the profanity. Lay off the death stares. Yes, we know there are some questionable favorites out there, but opposing teams have fans, too. Represent your team with respect and dignity. Cheer on the players all you want. It’s even okay to taunt the opposing players, but… Don’t be obnoxious or cross the line! It’s never okay to be offensive to anyone. Refrain from yelling out obscenities or talking derogatively about players. If you show up to a game wearing a jersey or baseball hat of a team that’s not playing, don’t be surprised by the unwanted attention you receive. Don’t be the pessimist. If your team is down, no one wants to hear you complain. Some of us did not leave early because we still have hope. Unless you’re at a stadium that supports it, nix the wave! PLEASE. Last, but not least…loosen up, grab some peanuts and some cracker jacks. It is a ballgame for goodness sakes. So have some fun! Got a few fan rules you’d like to add? Comment below. I like the suggestion to represent your team with respect and dignity. Keeping that in mind first might help keep baseball fan etiquette. This has been really insightful. My husband has been getting into baseball and for his next birthday, I want to fly him out to see a game. Jackie Robinson Day—A Reason to Celebrate!